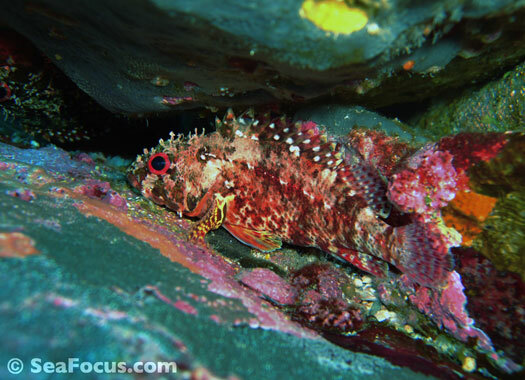 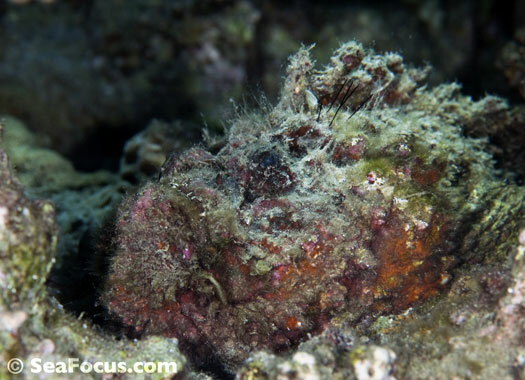 Scorpionfish and stonefish belong to the same marine order, Scorpaeniformes, but despite having a fairly similar appearance, these two fish belong to different scientific families. 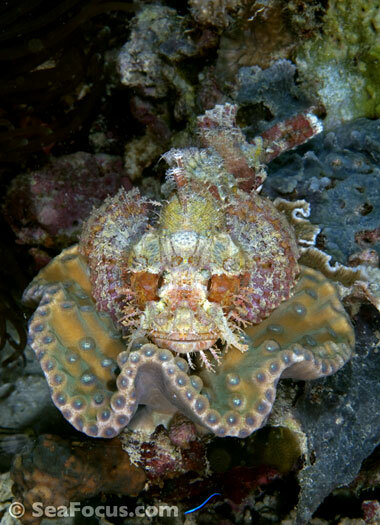 The Order Scorpaeniformes is a highly extended marine group with hundreds of members that can be visually distinctly different. 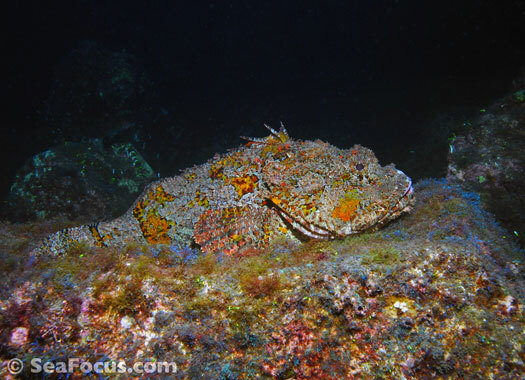 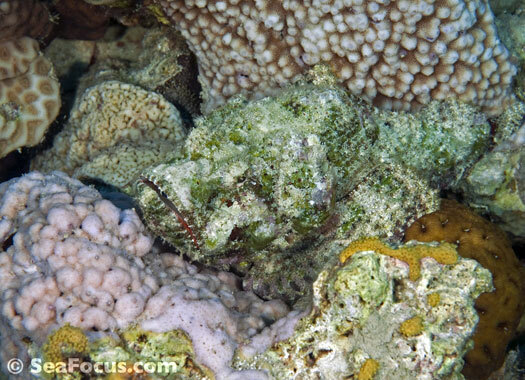 Although they don't look like it, scorpionfish and stonefish are closely related to highly decorative lionfish, the ultra-ugly devilfish and even the well-camouflaged leaffish. 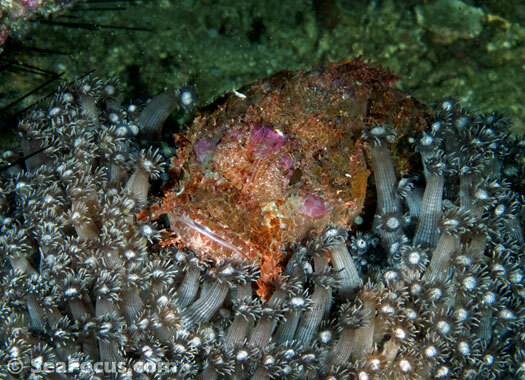 What actually links all these fish together is that they employ the same method of defence – a ridge of venomous spines runs along their bodies which, when depressed, can inject varying strengths of venom into an attacker. 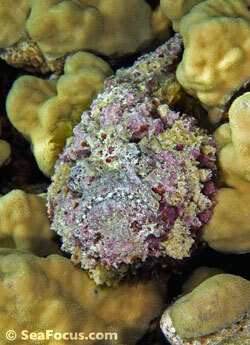 Some contain a poison that is easily treatable while others are deadly. 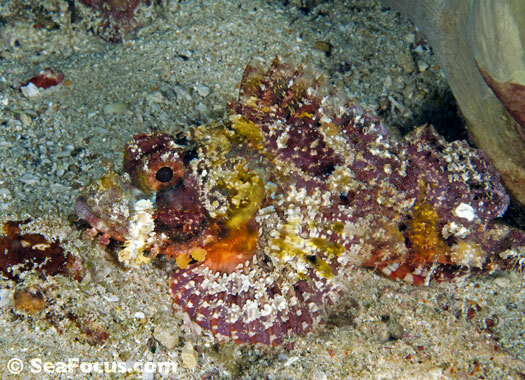 Generally, lionfish and leaffish stings are less serious than those of scorpionfish. 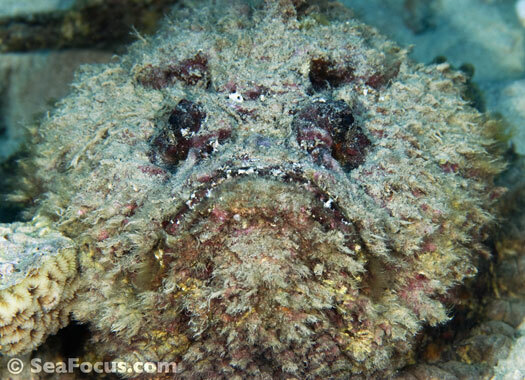 Next up the toxicity ladder are false stonefish, then the devilfish whose venom is almost as potent as the potentially deadly stonefish. 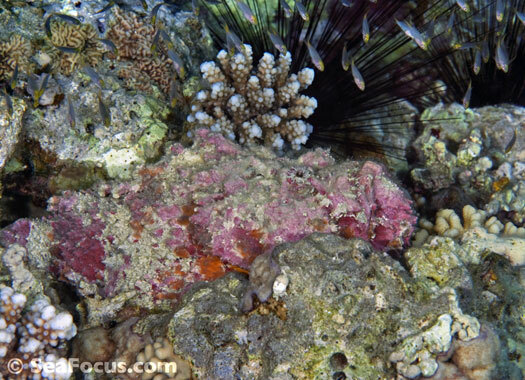 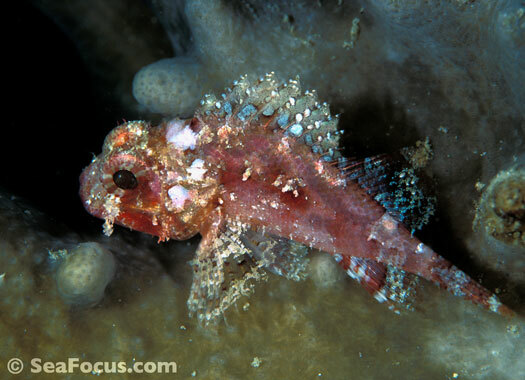 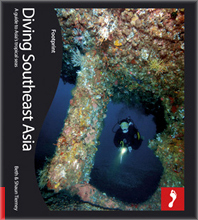 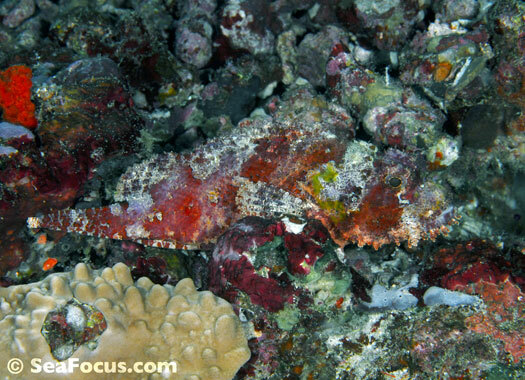 Scorpionfish are often seen lurking on the reef. 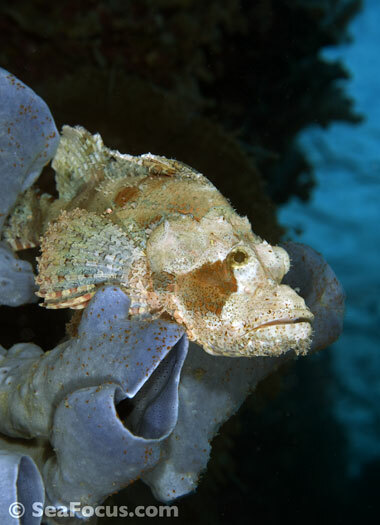 They mostly choose to sit on a background that blends with their skin tones and rarely move from their perch. 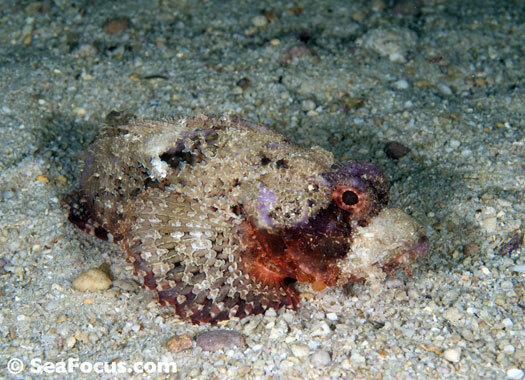 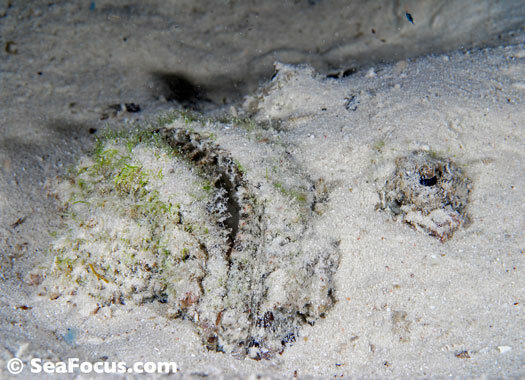 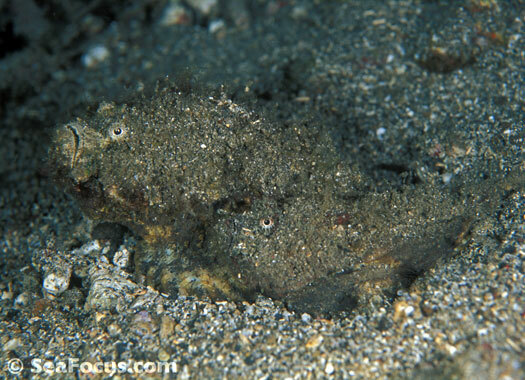 False stonefish do much the same thing but 'proper' stonefish are more likely to bury themselves in the sand, leaving just two, lumpy eyes protruding to watch out for a passing snack. 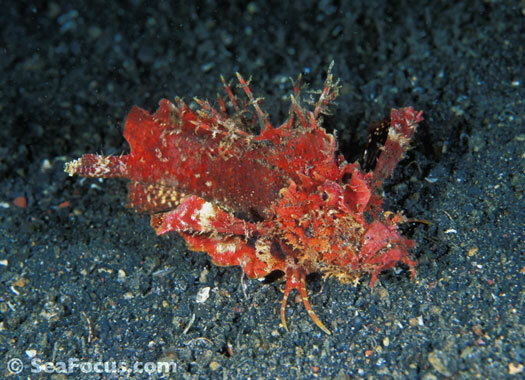 Scorpionfish are NOT on the IUCN list of threatened species. 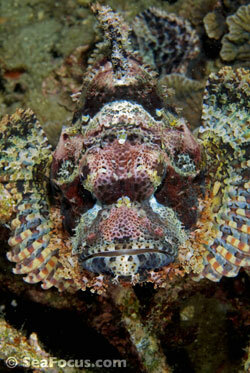 Stonefish have a rounder body shape while scorpionfish are longer than wide. 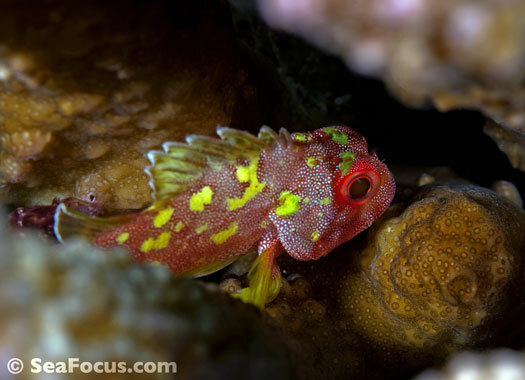 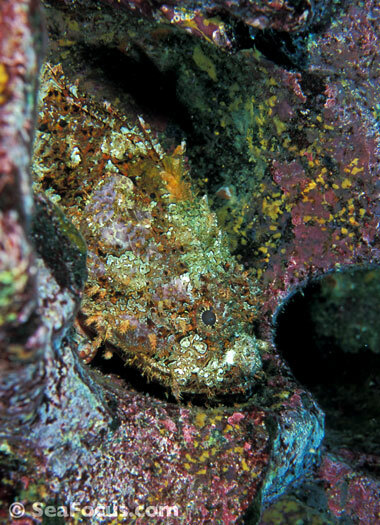 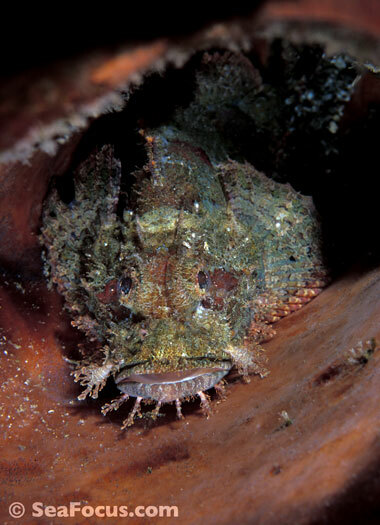 Scorpionfish eyes protrude from the head while the eyes of a stonefish are recessed further into the skull. 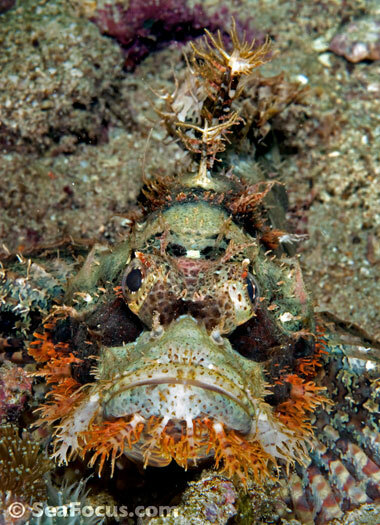 The scorpionfish mouth sits forward on a more distinct jaw while a stonefish has a grumpy upturned mouth. 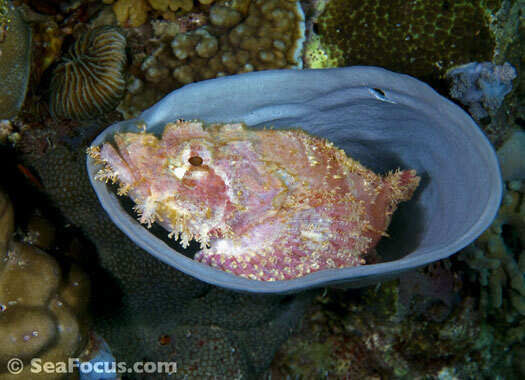 The stonefish's back fin is much bigger and the spines thicker and – most importantly – the stonefish is believed to be the most deadly fish in the ocean.